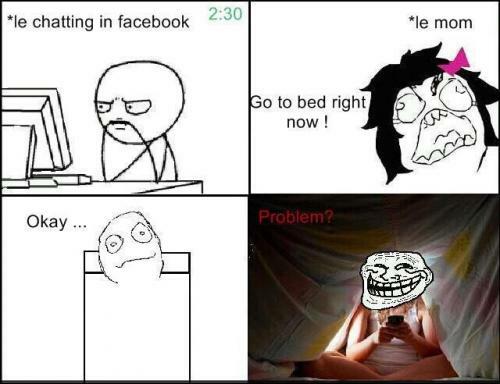 *Le chatting in facebook 2:30 *Le mom Go to bed right now ! Okay ... Problem? Go to bed right now !